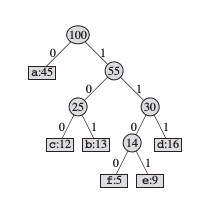 I have studied the algorithm for stack implementation from Introduction to Algorithm. We all want to learn programming languages. It is not just to learn to code. It is understanding algorithms, data structures their relationships and implementing them using a computer programming language. Stack is one of the elementry data structure. ➧ It is a dynamic set. What are dynamic sets? Sets which can be manipulated by algorithms, which can grow, shrink or change over time. ➧ To insert an element we call PUSH operation and to delete an element we call POP operation . ➧ S[0,...,S.top] here S shows element at the bottom and S[S.top] shows element at the top. ➧ S.top= -1 means stack contains no element and is empty. Here array starts from 1 so don't get confused.